These goggles will last for 30 days after being worn. After that, they will no longer provide the bonus. These goggles can be Fixed while holding another pair to recharge your existing pair. Goggles attune to the first wearer. 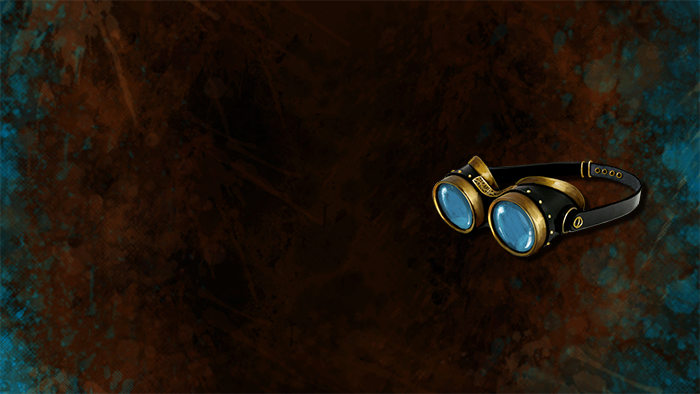 These spectacles will grant you a 10% increase to currency gains while in Reim! They also increase the daily limit of ethereal scrip by 10%! Earn more scrip faster! Appearance: "A Pair Of Prismatic Goggles"